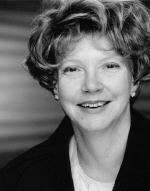 Linda Porter’s first book, published in 2007, was Mary Tudor: the First Queen. She has subsequently written books on Katherine Parr and, in Crown of Thistles, about the rivalry between the Tudors and Stewarts. Her latest book, Royal Renegades: the Children of Charles I and the English Civil Wars, was published in October 2016. The birth of a second son to James VI of Scotland and his Danish wife, Anne, on 19 November 1600 was an occasion for relief and rejoicing, even if it did come as the year was darkening. The couple already had a son and a daughter, the only survivors of numerous miscarriages and the death of their second daughter, the two- year-old princess Margaret, just a few months previously, had distressed both parents. Relations between the king and queen were frequently testy by this time and she had never forgiven her husband for taking their elder son, Prince Henry, out of her care. The arrival of a second boy might have been expected to help the royal relationship but if it did so, the effect was short-lived. The new prince, christened Charles at Holyrood two days before Christmas, was to be known as the duke of Albany, the traditional title for the second son of Scottish kings. 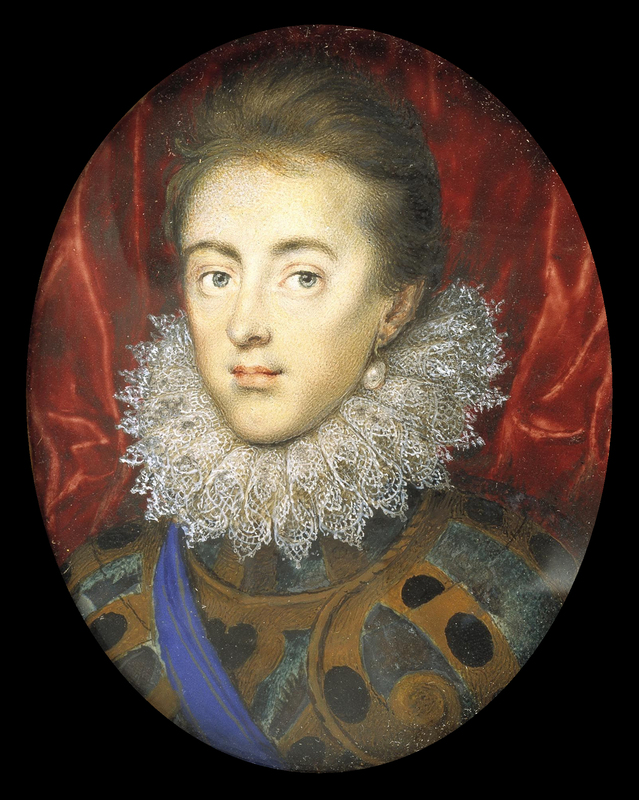 As a younger son, he could expect a privileged upbringing and sound education, especially with a father like James VI, who prided himself on his learning, and, in due course, a marriage to a European princess, who, like himself, would, in all probability, be a younger child. While he lived in Scotland, he was under the care of Lord and Lady Fyvie, living in a separate household from his parents and from his elder brother, Henry, who was with the earl of Mar in Stirling. There was nothing in the pattern of his days to suggest the dramatic journey towards the scaffold in Whitehall that would give him the dubious distinction of being the only monarch in English history to he tried and executed for treason against his people. His early childhood in Dunfermline, the capital of the ancient kingdom of Fife in the east of Scotland, was marred by the slowness of his development. He learned to talk late and to walk even later, by some accounts not until he was four. It is not clear whether he was actually put in callipers, as some historians have suggested, but he seems to have suffered from rickets. The long Scottish winters would not have helped his bones grow strong but he was determined not to be restricted by his difficulties, becoming a fine horseman and a keen hunter. He would never be tall- when fully grown his height was about five feet four inches – and eventually learned to express himself effectively, though a slight stutter never left him. When Charles was born, his father was very much the heir-in-waiting to the ageing Elizabeth I, though there was no formal acknowledgement of this by the English queen. For James VI, who had been King of Scotland since he was one year old, it was very much a question of running one country while keeping abreast of developments south of the border without showing an unseemly impatience. And when Elizabeth died in March, 1603, he was in no hurry to come down to London, to the bewilderment of English politicians, who had assumed he would get out of Scotland as soon as Elizabeth breathed her last. 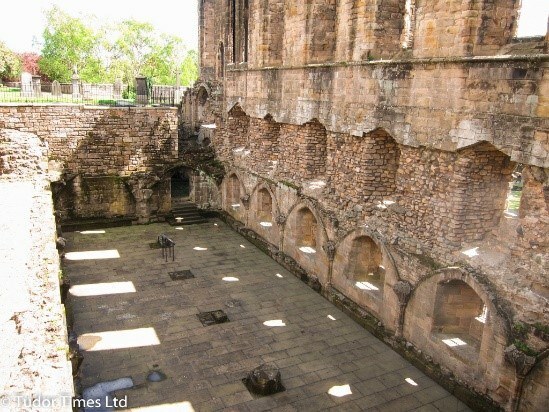 When James brought his wife and two eldest children to his new capital later in 1603, Charles was not considered strong enough to join them and he was left behind in Dunfermline. He did not move to England until the following year, when Sir Robert and Lady Carey took over responsibility for him. Charles appears to have been an apt pupil. He was good at languages, a necessity for British royalty at a time when English was scarcely spoken in Europe, and also showed a good grasp of theology. Fond of Prince Henry and also of his sister, Princess Elizabeth, he was very much the baby of the family, and was known as ‘Baby Charles’ by his father, even into adulthood. 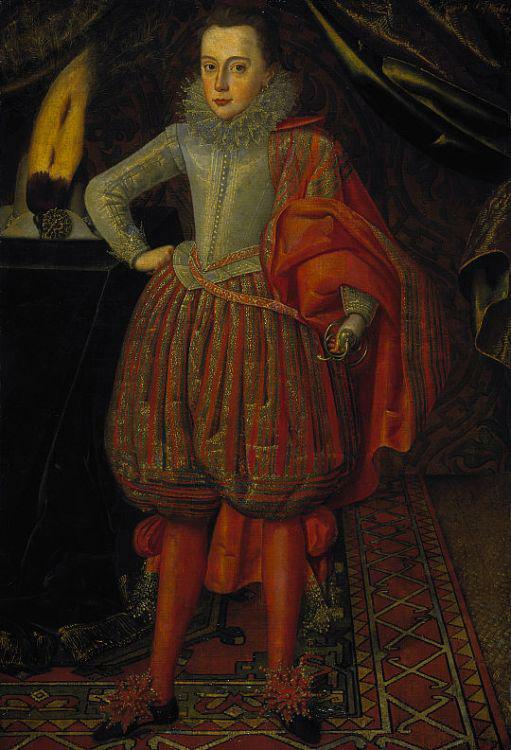 The sudden death in 1612 of the gifted and personable Henry, hero-worshipped by Charles, rocked his world. Within a short space of time he was also required to bade farewell to Elizabeth, when she married the Elector Palatine and went off to live in Germany. Suddenly Charles was heir to three kingdoms, England, Ireland and Scotland, transforming his relationship with his father and instilling in him the realization that it was his destiny to rule. The fateful outcome of his own approach to government and religion, founded on an unshakeable belief that kings were answerable only to God, brought him into conflict with his subjects in each of the three kingdoms. In many respects, he was a man born at the wrong time. A great admirer of his Tudor predecessors and particularly of Elizabeth, he could not accept that their style of government did not work in seventeenth century Britain. This obduracy cost England dear, leading to civil war and his eventual execution on 30 January, 1649. Though his eldest son was restored as Charles II eleven years later with an apparent return to the social and religious order that Charles I had fought to uphold, nothing would ever be quite the same again. Nowadays, the Civil Wars are no longer taught in English schools and Charles I is largely forgotten, though his nemesis, Oliver Cromwell, is not. To me as an historian, (and, I must admit, an admirer of Cromwell) this neglect merely compounds the tragedy of a delicate baby who was never intended to wear a crown and who, as an adult, gave his life for a vision of kingship, however flawed, that perhaps seems irrelevant today. But his place in our past is an important one and the conflict which he engendered needs to be put firmly back in our national consciousness, for it is, quite simply, the fulcrum of our history. Linda Porter’s new book, Royal Renegades: the children of Charles I and the English Civil Wars, is published by Pan Macmillan.